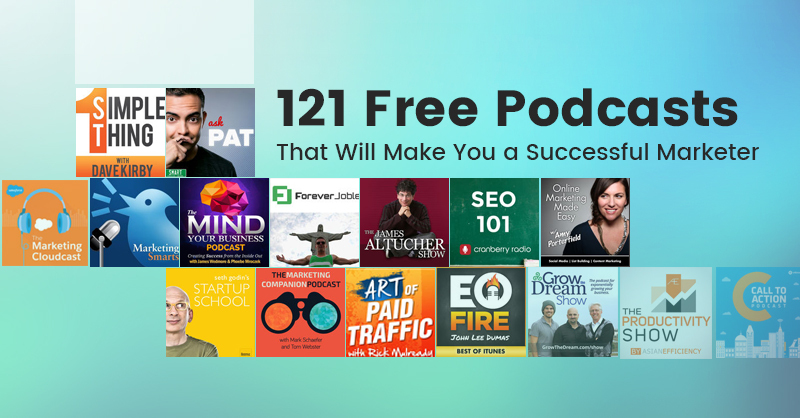 There are a huge number of free podcasts out there that provide fresh and highly actionable marketing advice. If you’re looking to evolve and grow into a successful marketer, marketing podcasts can help you get there. I’ve reviewed over 200 podcasts and have compiled a list of the best the internet has to offer. And I’ve made sure to include my personal favorites. You can also filter the list down by category to find the ones best suited to you. 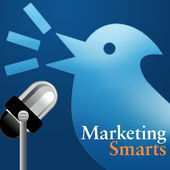 Marketing Smarts is well known as one of the best marketing podcasts out there. All episodes are value packed interviews with industry vets like Guy Kawasaki to entrepreneurs like Lee Odden and Ian Lurie. Kerry O’Shea, the host, covers a wide range of topics and once even had opera singer Ja-Nae Duane on the show. The entire Marketing Smarts Podcast directory is categorized into 24 categories that you can choose from. For those of you who like to read, they also publish transcripts on the blog along with the podcast. Notable episodes: I’m all about content, and I loved the episode with Chris Brogan on content and email marketing and the one with Jay Baer on the trends he discovered from 27 Social Pros interviews. One of the most downloaded podcasts out there. John Wall of EventHero and Christopher Penn from Shift Communications discuss hot marketing news every week. And the best part: They do it in a Boston Coffee shop. They have an archives page where you can see all their previous podcasts. They also regularly interview big ballers like Seth Godin, Ann Handley, Ted Schilowitz, and Chris Brogan. Very engaging and conversational style. Notable episodes: All the episodes with Seth Godin, and the episode with Brad Gurley on Email deliverability. 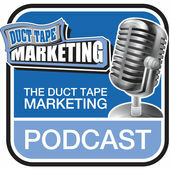 Hosted by John Jantsch, the founder of Duct Tape Marketing (which is one of the most well known marketing brands out there). Almost all episodes are interviews with thought leaders and domain experts. I found many of his interviews to be full of tips and advice for those starting to start small business startups. Notable episodes: Loved the episodes with Ash Maurya on mastering lean metrics and the one with Jon Morrow on creating influence with writing. 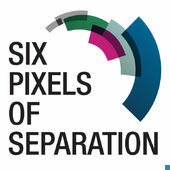 If you’re looking for actionable digital marketing advice from someone who talks from the perspective of a digital marketing agency, the Six Pixels of Separation podcast is the one for you. Hosted by Mitch Joel of Mirum, the podcast has over 500 episodes available for free on iTunes now, and Joel’s’s advice is consistently actionable, pointed and helpful. He lands interviews with some of the biggest names in the digital marketing world. Notable episodes: I really liked SPOS #513 on newsjacking with David Meerman Scott and SPOS #489 with Denise Lee Yohn on extraordinary brand experiences. 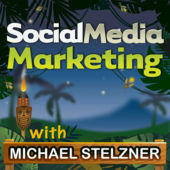 If you’d like to stay up to date with the plethora of stuff that’s going on in the social media world, the Social Media Marketing podcast by Michael Stelzner is for you. What I love most about Michael’s podcast is that he tries to look beyond all the noise, and predicts the next big thing in marketing on social. He lays down how to build a great following, how to be unique and be seen online. Notable episodes: I really liked the episode with David Lawrence on finding your spoken voice, and the one with Laura Fitton on smart ways to use Twitter. Bob Knorpp, the host, discusses the latest industry news and trends with his guests. It’s more of a roundtable conversation with ‘a healthy dose of perspective’. 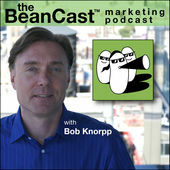 The Beancast is one of my favourite marketing news roundup podcasts. Only the recent podcasts are available on iTunes, but all 400+ episodes are available from their website. Notable episodes: Hard to point out a few, but the 404th episode titled ‘Debranding Branding’ has a lot of food for thought, and I found episode 408 titled ‘Unidentified White Liquid’ to be very interesting. When it comes to content marketing, Joe offers the best actionable advice out there. 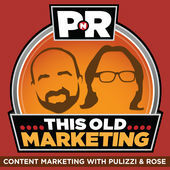 Through This Old Marketing Joe talks on how to use content to attract and retain customers. Each of their 100+ episodes follow a specific format- Joe and his co-host Robert Rose discuss what’s new in the Content marketing world, then rant about the headlines and trends. Next is my favorite part- they present an example of an ‘old marketing technique’ and what you can learn from it. Notable episodes: PNR 103 on consistent content, and episode 86 where they talk about the subscriber funnel that New York Times uses. Social Pros was the winner of the Content Marketing Award for Best Podcast in 2015. It doesn’t come as a surprise- it’s hosted by Jay Baer and Adam Brown from Salesforce. They invite social media gurus from big brands every week, and discuss trends and strategies that big brands use to reach millions on social platforms. 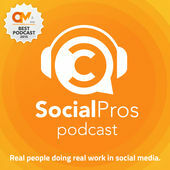 I like Social Pros even more than Jay’s other podcast- Jay Today, as it’s simply more engaging, and filled with insights. Jay and Adam are witty and educational at the same time. Notable episodes: The episode with Tamara Gaffney from Adobe, and the one with Steve Rayson on the content types that get most shared on social. Gary Vaynerchuk is one of the most inspiring and energetic entrepreneurs out there. He is a serial entrepreneur, angel investor and thought leader. The #AskGaryVee podcast series is simply the podcast version of Gary’s Video series where he answers the audience’s questions on social marketing, business, and entrepreneurship. All his answers are zero-fluff and straight to the point (He earned his say-it-like it is image from the show). 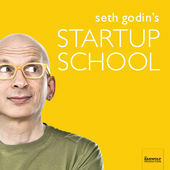 Notable episodes: Loved episode #185 with Seth Godin, and the episode with Jack and Suzy Welch (Authors of Real Life MBA). 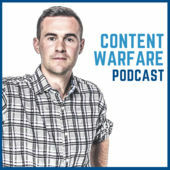 Hosted by Ryan Hanley, Content Warfare is geared towards educating you on brilliant content marketing tactics used by several authors out there. If you’re looking to publish a book someday, this one’s for you. He’s interviewed everyone from Jay Baer to Brian Clark. Notable episodes: The episode with David Nihill on spicing up content through comedy and the one with Brian Clark. 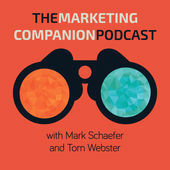 The Marketing Companion podcast is run by Mark Schaefer and Tom Webster. They focus on a core topic every episode, and share their opinions on the latest trends in the world of marketing and cutting edge insights, all with their touch of good humour. What I love most about this podcast is how actionable all the advice is. Amy Porterfield (the host) has Q & A sessions with experts where they answer listener’s questions, and chances are, you’re looking for answers to those questions too. She brings on guests like Michael Stelzner, and I love all the episodes with her facebook go-to expert Rick Mulready. Notable episodes: All the episodes with Rick Mulready (especially the recent one on facebook ads and webinars) and episode 101 with Michael Hyatt. 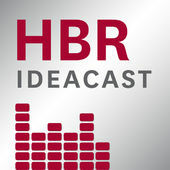 The HBR Ideacast is brought to you by Harvard Business Review, and is hosted by Sarah Green Carmichael. She goes into everything from management to marketing to productivity in work. You also get to listen to the elite pack once in a while – Harvard professors, CEOs and successful Harvard students. Notable episodes: We SEOs dig anything about the inner workings of Google, and in episode 426 she interviewed Eric Schmidt and Jonathan Rosenberg from Google on how they manage talent. 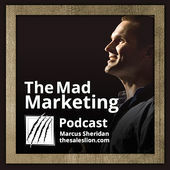 Marcus Sheridan of TheSalesLion.com lays it all down plainly in his podcast- he answers questions, interviews experts. This happens to be one of my favourites as he goes into real life experiences and case studies. Notable episodes: I loved episode 94 where he explains how he prepared to interview Gary Vaynerchuk (the AskGaryVee Show), and the recent episode 99 with Adele Revella on buyer personas. 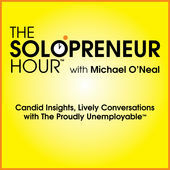 The Solopreneur Hour, which happens to be another one of my favourites, is hosted by Michael O’Neal. What I like most about this podcast is that it’s as motivational as it is informative, and is ideal for ‘proudly unemployable solopreneurs’ as Michael puts it. He regularly brings on successful entrepreneurs and delves into their stories. All entrepreneurs that he interview are normal folks like you and me who left their day jobs to be successful freelancers and solopreneurs, making the advice highly relatable. He also does a free coaching Friday where he answers questions posed by his audience in his Proudly Unemployable Facebook group. Notable episodes: Episode 401 with Willem Van Zyl and the very motivational episode with P.J. Dixon (episode 313). 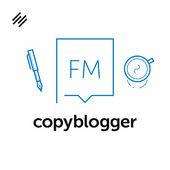 The Copyblogger FM (previously known as The Lede) is hosted on the Rainmaker.FM podcast platform, and focuses aimed at giving brilliant content marketing advice. It’s hosted by Sonia Simone, the chief content officer for Rainmaker digital. She shares hot copywriting insights on her own and also interviews content marketers and successful authors. 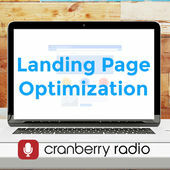 The podcast mainly focuses on content marketing and she also goes into email marketing and conversion optimization. Notable episodes: The episode where Jared and Damien discuss growing audiences on Medium, and the episode with Help One Now founder Chris Marlow on content marketing for nonprofits. 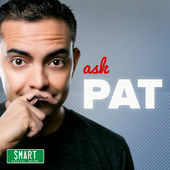 Pat Flynn happens to be one of the most well known online entrepreneurs out there, and his podcast boasts over 20 million downloads over a span of 6 years. He regularly brings on big ballers like Neil Patel, Ramit Sethi and Gary Vaynerchuk, and shares insights, actionable how-tos, and insider details on his own business in his personable tone. And he has the most good looking podcast library I’ve come across! 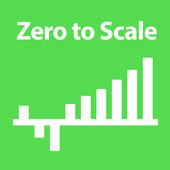 Notable episodes: Loved SPI 222 with Ramit Sethi on products and pricing, and SPI 200 with Todd Tresidder where he talks about how deleting a third of his content tripled traffic to his website. 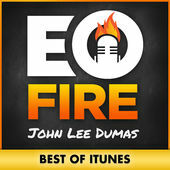 If you’re looking for daily dose of inspiration and motivation, John Lee Dumas is your go-to-guy. He interviews the most successful entrepreneurs out there 7 days a week, and has interviewed some of the biggest names in the digital marketing space till date. In every episode, he delves into the journey of the entrepreneurs, their worst and AH-HA entrepreneurial moments, and ends with a lightning round where he asks them six insightful questions. I literally select books to read from those suggested by the guests on Entrepreneur on fire. Notable episodes: Episode 1282 with Russell Brunson on creating a million dollar sales funnel, and the recent one with Brian Johnson on Amazon’s PPC advertising platform. 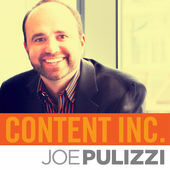 Content Inc. is a unique weekly podcast by Joe Pulizzi, renowned content marketing guru. Unlike his ‘This Old Marketing Podcast’, he shares one key lesson or takeaway from his past experiences or anecdotes. If you are a one-idea-a-day guy, look no further. Notable episodes: Liked episode 109 about buyer personas, and episode 111 about how the Star Wars is content marketing at its best. Although Derek Halpern hasn’t pushed out any episodes since 2015, all the past Social Triggers Insider episodes are gold. From tips to increasing productivity, to stories of entrepreneurs and successful marketing strategies that work, he has some great advice to offer, and I highly recommend Derek’s podcast. There’s about 22 hour long episodes on iTunes, and all are value-packed. Notable episodes: Both the episodes with Tim Ferriss ( Episodes 1 and 13), and the one with Marc Ecko (Episode 7). 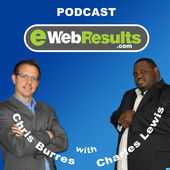 Chris Burres of eWebResults and the SEO rapper Charles Lewis share tips, discuss industry trends and updates, algorithm changes, and review must read industry articles in a typical episode of their podcast. The start with a ‘tip’ and then go on to discuss online marketing news and share their thoughts on them. Notable episodes: Episode 325 on content marketing lessons from print, and Episode 291 on advanced ways to promote blog posts on social. 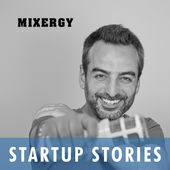 Andrew Warner’s Mixergy podcast is all about interviews with top startup founders. He has interviewed some of the most successful founders out there like Drew Houston of Dropbox, Jimmy Wales of Wikipedia and Alexis Ohanian of Reddit. There is a lot of information that is available on his website for free, but the entire interview library is open only to premium members. Notable episodes: The interviews with Jermaine Griggs on how he grew HearAndPlay.com into a multi-million dollar instruction site, and episode 216 where AirBnB’s founders share their inspiring stories on how they built the company. StartUp is another one of my favourites. In the 1st season, Alex Blumberg talked about his quest to start Gimlet Media. The second season covered the story of Dating Ring, yet another startup by two women in their twenties. In season 3, they’ve evolved and have started covering stories of several companies. What I love most about StartUp is that they cover stories about companies founded by complete beginners, and go through their pitfalls and the lessons they learnt along the way. Notable episodes: Episode #13 of Season 1 and Episode #7 of Season 2. 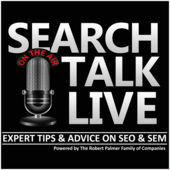 If you’re looking for a podcast that has advice from the elite brass of the internet marketing world, Search Talk Live is the one. There are very few podcasts that have interviewed both Gary Illyes and John Mueller, and other thought leaders like Duane Forrester and Bruce Clay. The episodes include both discussion on trends and updates in search and social, and also clear cut ‘how-to’ style episodes where experts share their strategies with hosts Robert O’Haver and Caleb McElveen. Notable episodes: Hard to point out a few, but the episode with Sujan Patel on effective content marketing strategies was very insightful. Also, I loved the episode with Dr. Pete Meyers of Moz. Sitevisibility’s Internet Marketing podcast happens to be one of the first marketing podcasts and claims over half a million downloads over a 10-year span. 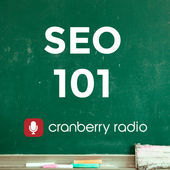 What I love most about this podcast is that their topics are very specific- and tend to cover topics that many other popular podcasts don’t, like technical, on-site and local SEO. Notable episodes: The episode with Miranda Birch on how stories make great compelling content, and the one with Alex Hepworth on blogger outreach. If you’re looking for case study style interviews with experts who have made it big online in email marketing and conversions, this podcast was made for you. Apart from hot marketing advice, host Tim Paige provides real templates, strategies and how-to’s from the experts he interviews in each episode by signing up for his list. I learn something new from every single episode I listen, and so will you. Notable episodes: Episode 110 with Brian Casel, and episode 95 with John Warrillow. With real case studies and highly actionable no-fluff tips on how to improve your content marketing, blogging and conversion efforts, Dan Shure does a great job of interviewing experts like John Doherty and John Mueller (from Google), and provides actionable tips that you can implement right away in your content marketing and SEO efforts. The podcast is relatively new – Dan began the series in March, but he already has some great case study episodes with well known marketers like Brian Dean, Dave Gerhardt and Sam Mallikarjunan from Inbound. 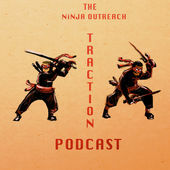 Notable episodes: The episode with Kristi Hines from Kikolani on guest publishing tactics, and the one with Dave Gerhardt on how he grew the blog traffic at Drift. 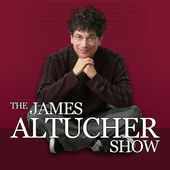 James Altucher interviews some of the biggest names out there like Tony Robbins, Arianna Huffington, and Tony Hawk, and shares stories, advice and experiences on his podcast. Just like in his incredibly insightful articles, he talks a lot about how to find your passion, nurture it, and achieve success in life. Notable episodes: Episode 62 with Tony Robbins (obviously), and Episode 191 with Claudia Azula on becoming an idea machine. A funny and engaging podcast where host Jeff Sieh interviews Pinterest power users (like Peg Fitzpatrick, Guy Kawasaki etc) on how they promote and drive traffic from the social network. Apart from Pinterest, Jeff also has a lot of marketing advice for other social media networks like Twitter, Facebook, and Instagram. I’ve absorbed some killer advice on creating killer images and visual assets, video marketing, and on the right strategies and approaches to take in social media from the podcast. Notable episodes: The episode with Rebekah Radice on creating viral images, and the one with Danielle Miller on using Pinterest for customer and community insights. 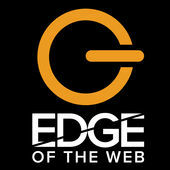 Edge of the Web Radio is another one of the great SEO podcasts out there. The hosts are Erin Sparks, Tom Brodbeck of Site Strategies, and Douglas Karr from Marketing Tech blog. They cover latest industry updates and interview big names in the industry like Barry Schwartz, Neil Patel, and Dr. Pete Meyers of Moz. They mostly delve into core SEO topics, and occasionally delve into content marketing and analytics. Notable episodes: The recent Show 174 with Neil Patel where he talks about his $100,000 challenge, and Show 180 with Tony Verre on human keyword research. If you’re looking for a podcast that covers all areas of digital marketing and talks about the latest trends and updates, and at the same time goes into disruptive techniques and strategies that organizations are using, this podcast by Daniel Rowles and Ciaran Rogers is a great choice. 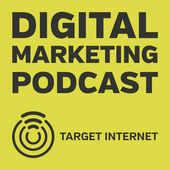 I’ve always thought of the Digital Marketing podcast as a way to eliminate all my generic reading. Notable episodes: Episode 114 with Mark Pinnes on content marketing practices that annoy audiences, and episode 77 with Kelvin Newman on event marketing. Host Douglas Burdett interviews well known authors in the marketing space every week in the Marketing Book podcast. If you’re an ardent reader, tuning into this podcast will help you keep an eye out for the best marketing books that are coming out. 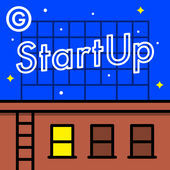 Notable episodes: The episode with Lee Odden and the one with Gabriel Weinberg (the founder of Duck Duck Go). Super conversational tone, filled with insights on a variety of topics, and very relatable. They also often talk about how they- Corbett, Chase and Steph run their businesses, and the strategies they use. Notable episodes: FS137 on building a freelance business from scratch, and FS130 on remembering what you need to say if you have a speech or videocast to do (super simple, but super actionable). 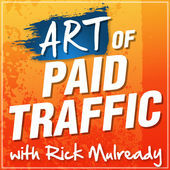 If you’re into paid advertising, then Rick’s podcast is the one for you! He talks about all kinds of paid ads- Facebook, Instagram, YouTube, you name it. And he often comes up with every marketer’s dream- real marketing case studies from small businesses that gained insane ROIs from paid traffic funnels. He also hosts Q&A episodes from time to time. I amen’t ashamed to say that I leant almost everything I know about paid from Rick’s podcast, and it’s also one of my favourites. Notable episodes: All the case study episodes, episode 70 on webinars and paid traffic (which is the first in a series of some great podcast episodes on webinar marketing), and episode 56 on copywriting hacks with Ryan Johnson. 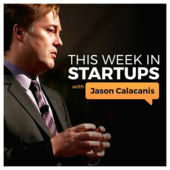 Jason Calacanis’ This Week in Startups is a blend of industry news and updates and hot startup advice. He typically does two episodes every week – an episode where he interviews a top tech entrepreneur, and another one where he chats about news and updates in the tech world with reputed journalists. He has interviewed several big ballers like Steve Case, AOL Co-founder and investor Chris Sacca, and Foursquare CEO Jeff Glueck among others. 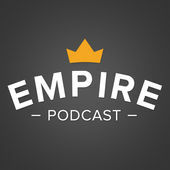 Notable episodes: The thought provoking E610 with Chris Impey on entrepreneurial opportunities in space (seriously) and E576 with Matt Epstein on how he grew Zenefits. Although all episodes aren’t about productivity hacking, Stephen lays down some great ways to improve your work life, and get more work done everyday. I was forced to change my sleeping habits after listening to his Economics of Sleep episodes, and his episode on why people follow the news can really inspire thought. And what he says is right- you’ll start thinking like a freak after the first few episodes. 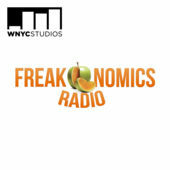 Freakonomics Radio was also rated as one of the best US podcasts both in 2015 and 2016.
Notable episodes: Both the Economics of Sleep episodes. 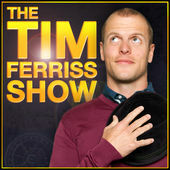 I also loved the episode with Tim Ferriss (who is one of the biggest productivity hackers out there). 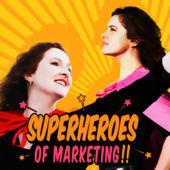 The podcast should be named super-heroines of marketing. Although they haven’t pushed out any episodes since 2015, hosts Alisa Meredith and Kelly Kranz have a number of episodes with hot advice on content marketing and social media in their library. 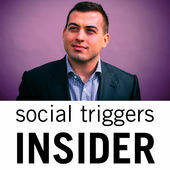 Notable episodes: Episode 22 with Triberr’s Dino Dogan on social share triggers, and Episode 27 on Influencer Marketing with Susan Moeller from Buzzsumo. 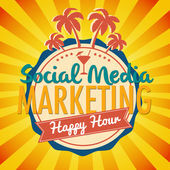 If you’re looking for a mix of content marketing, social media, email marketing, and entrepreneurship advice, then nothing beats the Social Media happy Hour podcast by Traci Reuter and Dawn Marrs Ortiz. They mix fun gossip and marketing advice, and regularly bring on guests on the show. With over 370 podcasts in their arsenal, they’ve covered almost every topic out there in digital marketing. Notable episodes: Episode 345 on using process maps, and Episode 328 on copywriting. 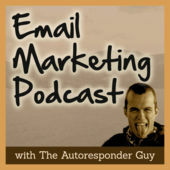 The McMethod Email Marketing podcast is hosted by John McIntyre, known as “The Autoresponder Guy”. John is a copywriting guru, and has interviewed some of the biggest names in copywriting in the world- including John Carlton, Perry Marshall, and Andre Chaperon. If you’re involved in any sort of content creation, I highly suggest that you tune in. Notable episodes: Episode 88 with Roy Furr on writing copy that converts, and Episode 132 with Josh Felber on the high performance methods he uses to smash all goals. Seth Godin isn’t just one of the most well-known names in the field of marketing, but he’s also one of the most authentic teachers when it comes to starting up a business. Although he isn’t recording any new episodes, the episodes that are currently available are all gold. In Startup School, he guides 30 entrepreneurs and talks and answers questions on how they can explore and run their dream businesses. His podcast is a medley of philosophy, productivity hacking, and deep lessons on what it takes to succeed. Notable episodes: Episode 11 on Cash Flow, and Episode 15 on being Distinct and Direct. 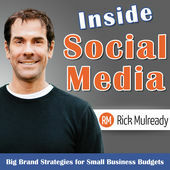 Although Rick isn’t recording any new episodes, the Inside Social Media Podcast library with over 50 episodes has a wealth of information on social media marketing. Rick interviews experts from some of the biggest social media influencers in the world like Red Bull, Virgin and MTV. I love actionable content, and in almost all his episodes he gets into the actual nitty-gritty of how to actually ‘do it’ on social networks. Notable episodes: ISM 041 with Greg Hounslow and Greg Plata (on making viral videos), and ISM Episode 28 with Sarah Newhall where she talks about Obama’s Presidential campaign in 2008. 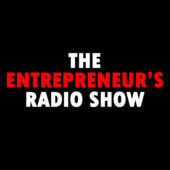 The Entrepreneurs Radio Show is hosted by Travis Lane Jenkins, a small-business building expert. He interviews marketing and business growth experts every week on his show. The Entrepreneur’s Radio Show happens to be one of my favourites, partly because the show is very motivational, and because of some unique features of his show – you can see the favorite books, tools and quotes of his guests in the show notes. Yet another source to find quality books to read. Notable episodes: Episode 207 -1 with Scott Oldford on improving marketing through frameworks (I might be biased with this one because we share love for the same book – The Millionaire Fastlane), and Episode 179 with Robert Coorey. HubSpot’s Growth show is focused on decrypting growth of startups and organizations that achieved rapid growth rates. The show goes over a variety of topics based on the life experiences and expertise of the interviewees. Notable episodes: The Episode with Frank Warren on his experiment on sharing secrets, and the one with Jascha Kaykas-Wolff from Mozilla on finding the next big thing. 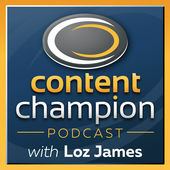 The Content Champion is one of the best free podcasts you’ll come across that focuses on content marketing, while delving into related areas like lead generation, sales funnels and email marketing once in a while. Host Loz James has interviewed some of the biggest names in the content marketing world, including Brian Dean- that too, back in September 2013 when Brian was just starting out with Backlinko! The Content Champion podcast is yet another one of my favourites. Notable episodes: CC010 with Brian Dean on building authority sites, and CC037 with Rachel Foster on driving leads from LinkedIn. The I Love Marketing podcast is hosted by Dean Jackson and Joe Polish, and they’ve interviewed some of the biggest names out there like Peter Diamandis and Tony Robbins. 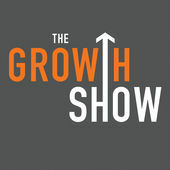 The show focuses on subjects like the right mindsets for business, growth hacking and connecting with your customers. Notable episodes: Episode 254 with Vishen Lakhiani, and Episode 198 with Michael Fishman where he shares some advanced ways to think about lists. Another favourite of mine. Timbo grills each guest, and goes into the actual details of setting up and growing businesses, and has talked about some marketing tactics that I’ve never heard of before. If you’re looking for advice from a marketer who has really hands on experience on what they talk about rather than just interview experts, Small Business Big Marketing is the goto place. Notable episodes: Episode 237 with Jason Stephenson on generating revenue through YouTube ads, and Episode 294 with viral video creator Bobby Edwards. 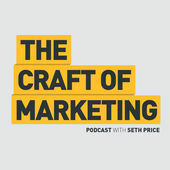 The Craft of Marketing is hosted by Seth Price of Placester, a marketing veteran and speaker. He interviews marketers that have set up unique businesses in their field, and has interviewed experts ranging from Brian Dean to Seth Godin, and has a lot of insightful episodes in his arsenal. He grills his interviewees with questions on the inside workings of their businesses, the marketing tactics they employ, and on topics like outsourcing and scaling- all in his super admirable voice. Notable episodes: The Episode with Brendan Lattrell on leveraging YouTube stars and influencers, and the one with Sujan Patel on growth hacker marketing. If the Rise of the Entrepreneur isn’t one the best podcasts out there that delve into a lot of affiliate marketing topics, then it’s definitely one of the very few podcasts that have brought on some of the most well-known SEOs and marketers in the affiliate marketing space. 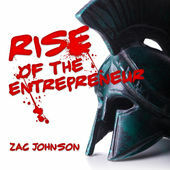 Zac Johnson, the host, focuses on interviewing online entrepreneurs and marketers on the podcast and has interviewed some real big ballers like Alex Becker of Source Wave and Chad French of Peerfly. The podcast also has a hot seat round where he shoots questions to his guests on their business and their choices. If Zac’s talk doesn’t inspire you, the podcast intro surely will. Notable episodes: ROTE 057 with Matthew Woodward on building successful blogs, and ROTE 053 with Jon Loomer on facebook advertising. The Mobile Friendly podcast (previously known as the Mobile Mixed podcast) is hosted by Greg Hickman, former head of mobile marketing of retail giant Cabela, and focuses on techniques and tools to market to users on mobile. 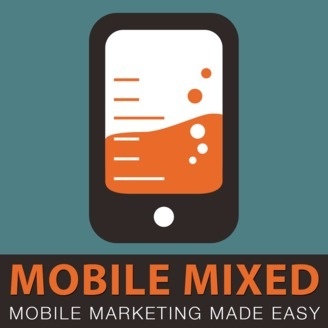 If you’re looking for more channels to reach out to customers, the Mobile Friendly Podcast is a great choice. Greg shows actionable ways to reach people via text messages, apps and other mobile routes. Notable episodes: Episode 9 with Bruce Hershey on enhancing customer journey to improve conversion rates, and MM116 where Ryan Jenkins shares a smart tactic to capture emails on stage while speaking using text messages. 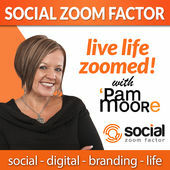 Hosted by renowned social media guru Pam Moore, the Social Zoom Factor podcast delves into social media marketing strategies to drive traffic, leads and sales. What I love most about the podcast is the highly actionable nature of the advice. Pam also offers worksheets and resources to simplify the process. Apart from social media, she also talks about the ideation, crafting and marketing of content that tends to get shared widely. 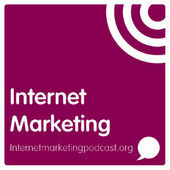 Notable episodes: Episode 199 on visual content marketing, and Episode 143 on integrating social media into launches. 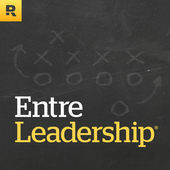 The EntreLeadership Show brings you insights and advice from thought leaders, authors, marketing experts, and even successful athletes and sport team managers on building healthy team culture, working atmospheres, and standing out in the crowd. The podcast covers a variety of topics- from building successful businesses to boosting work efficiency by optimizing teams and working environments, and marketing efficiently. 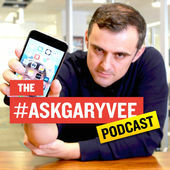 Notable episodes: Episode #144 with Gary Vaynerchuk (I highly recommend this interview of Gary), and Episode #151 with Brian Clark of Copyblogger on building trust. 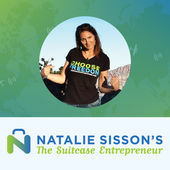 The Suitcase Entrepreneur podcast is run by nomadic entrepreneur Natalie Sisson, and she brilliantly champions the beauty of time and financial freedom in life. She lays down simple tips and methods you can use to boost productivity and free time from your work- even if you are working a full time job. If you’re struggling with setting up a business part time after a full time job, the Suitcase Entrepreneur is totally worth tuning in to. Notable episodes: Episode 266 with Jay Papasan on narrowing to focus to get things done, and episode 242 with Navid Moazzez on using virtual summits to grow revenue. Anyone who has ventured into the content marketing, productivity hacking, investing or fitness niches will have heard of Tim Ferriss. From being one of the most well-known productivity hackers in the world, angel investing in the most promising unicorn startups, being a health and fitness freak and brilliant content marketer, he has done it all. His podcast, the Tim Ferriss show, is one of the most rated podcasts on iTunes and was Product Hunt’s 2015 Podcast Of The Year. 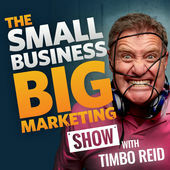 Tim has interviewed mainstream celebrities, billionaire entrepreneurs, and marketers on his show. The Tim Ferriss show is another one of my favourites, and I highly recommend it if you’re looking for a well-balanced dose of inspiration, information, and direction. Notable episodes: His very popular episode with Jamie Foxx, and episode 107 with Jocko Willink. 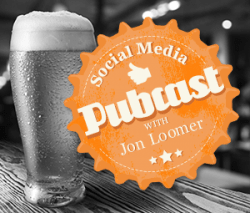 Jon Loomer is one of the most well known names in Facebook marketing. His show has about a 100 episodes- all on various aspects of marketing on Facebook – from building brands to optimizing ads to conversion optimization and Facebook updates. If Facebook is a channel that you’re looking to tap into, Jon’s podcast and blog (which is rated as one of the top 10 blogs on social media) would be a great place to learn. Notable episodes: The episode with Andrew Foxwell on advertising for the holidays where they talk about how local businesses can leverage holidays, and the episode “On Honesty and Affiliate Marketing Dilemmas” where he reflects on dilemmas marketers face ( this one has some food for thought). 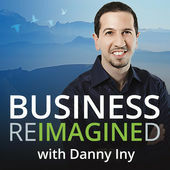 The Business Reimagined podcast (previously Firepole marketing podcast) by Danny Iny focuses on sharing advice to business owners on developing vision, growth, marketing, productivity and work culture. He invites guest from a whole variety of areas- from business psychology experts to content marketers to executives to entrepreneurs and authors. Notable episodes: The episode with Ari Meisel on Outsourcing and Automation, and the episode with Craig Ballantyne on creating the perfect day. What would be more actionable than two budding entrepreneurs sharing the entire step by step story of building their business live? Greg Hickman and Justin McGill talk about the actions they took, their successes, failures and reflect on the lessons they learnt from them. Apart from these, they also invite guests on the show like Pat Flynn and John Lee Dumas. Notable episodes: Episode 80 with John Lee Dumas on achieving your goals, and episode 111 on hiring processes and landing the right clients. 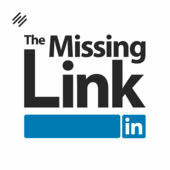 The Missing Link is yet another podcast hosted by the Rainmaker network, and focuses almost exclusively on LinkedIn marketing. Jabez LeBret interviews experts and shares insights and actionable strategies that you can use to use LinkedIn pulse effectively, influence and connect with customers. They also do case studies of successful campaigns run by brands and show real life examples of how marketers from a variety of niches market effectively on LinkedIn. 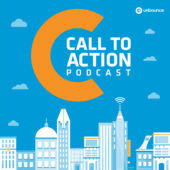 Notable episodes: The episode with Sean Callahan, the Senior Manager of Content Marketing at LinkedIn, and the one with John Nemo on creating Calls to Action that work on LinkedIn pulse. 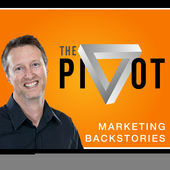 All episodes of the Pivot are interviews where host Todd Wheatland interviews marketers from various brands in the digital marketing space and goes into their life stories and marketing experiences. The great thing about Todd’s podcast is the fireside chat style conversation that gently takes us through every interviewee’s journey to success. And the stories are all inspiring. Todd hasn’t released any new episodes since 2015, but almost all the episodes are worth a listen. Notable episodes: The episode with Carlos Abler, and the one with Doug Kessler on B2B content marketing. Rightfully called the ‘Entrepreneur’s therapy session’, the Boss Free Society Podcast aims to provide entrepreneurial advice, personal development tips and strategies for cultivating habits and traits that are common to successful entrepreneurs. They also have Motivation Monday episodes that provide a healthy dose of motivation to listeners. 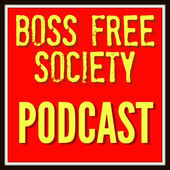 If you’re planning to tune into the Boss Free Society podcast, start listening right from episode 1.
Notable episodes: BFS 120 with Richard Boureston on being seen in all the competition, and BFS 068 with Matt Bacak on list building. 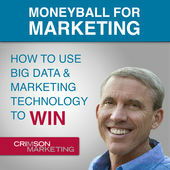 Moneyball for Marketing is one of the go-to podcasts for data and analytics enthusiasts. Glenn Gow, host and CEO of Crimson Marketing, interviews experts from several top tier agencies and companies and shares insights on how data can be used to understand your customers, personalize marketing efforts, develop content strategies and thereby improve customer experiences and revenue. If you’re serious about avoiding assumptions and following data backed metrics to sculpt your marketing efforts, consider subscribing to the Moneyball for Marketing podcast. Notable episodes: The episode with Shafqat Islam on the importance of building content machines, and the episode with Steven Wastie on doubling marketing revenues with multi-touch attribution. 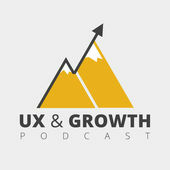 The UX and Growth podcast is hosted by HubSpot designers Austin Knight, Matt Rheault, and Geoff Daigle where they chat about user experience and design, and also occasionally interview experts both from HubSpot and other agencies on related topics like SEO and growth hacking. They’ve got some great episodes on design experiments and data collection too. If design plays a major role in your marketing strategy and customer acquisition, this podcast is a great one where you can get advice from the top brass – not just on creating great UX, but also on how to test it. Notable episodes: The episode with Anum Hussain (also from HubSpot) on personas, content and growth marketing, and the one on Human to Human UX. 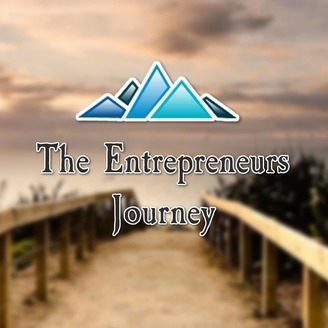 Yaro Starak’s Entrepreneur’s Journey goes through the inspiring stories of successful online business owners. He invites successful entrepreneurs on the show for each episode, and goes into how they built up their business from ground one, and the lessons they learnt along the way. I’ve always felt that the podcast is a treasure trove of ideas if you’re prospecting for niches. 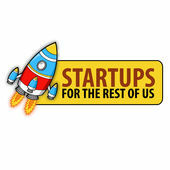 Some of the episodes are on entrepreneurs who are making a killing online in niches you’d never think of. Notable episodes: The episode with Nathan Chan on how he grew Foundr magazine, and the one with Kevin Muoio on building buzz using blog marketing. 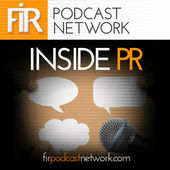 The Inside PR podcast is hosted by Gini Dietrich, Joseph Thornley and Martin Waxman. With about 450 episodes till date, they’ve talked about a whole lot of social media news topics, trends and public relations subjects. The episodes are intensely engaging, and David’s and Terry’s expertise in public relations really shine through! Notable episodes: Inside PR 401 on must-have apps, and Inside PR 392 on journalism as an algorithm. Notable episodes: The very recent episode on the Stone Temple study and Google AMP case study where they talk why even a few high quality links can bring about changes in rankings, and the insightful episode on Debunking Social Media Techniques That Can Impact Search. 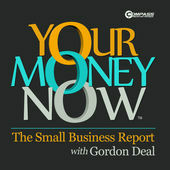 Hosted by Gordon Deal, the Your Money Now podcast delves into tips and tricks that entrepreneurs and small business can use (and those that are already being used) to set up businesses, understand customers, achieve growth, and boost productivity among employees. He also often talks about smart strategies businesses around us are using to market their products. Notable episodes: The July 8 and March 15 episodes of the Small Business Report. While there are tons of podcasts out there that are aimed at educating entrepreneurs, I’ve always felt that Startups For the Rest of Us are targeted at micropreneurs. Hosts Mike Taber and Rob Walling offer advice on building startups from the ground-up – from building the product to marketing it effectively, and at about 300 episodes till date, they’ve got a lot of it. I also found their tips for time management to be especially helpful. Notable episodes: Episode 271 on insights from 250 SaaS pricing pages, and episode 295 on getting your first 10 SaaS customers (invaluable). 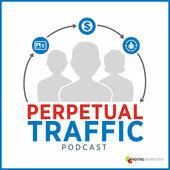 Hosted by paid media gurus Keith Krance, Ralph Burns and Molly Pittman, the Perpetual Traffic podcast goes into a lot of Facebook advertising while also offering advice on Adwords, YouTube, Instagram, and Twitter. The episodes are well blended- some are highly actionable how-to episodes, some are case studies of successful campaigns, some are interviews with paid media experts, and some are pure valuable advice on paid marketing. Notable episodes: Episode 50 with Frank Kern on generating sales using facebook live (I like both the episodes with him), and episode 12 on the perfect cold traffic ad. 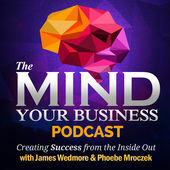 James Wedmore and Phoebe Mroczek, the hosts, combine advice on how to build up a business and tricks and strategies that you can use in your daily life to leverage time, get more work done, and stay motivated to achieve your business goals. And their methods do work- they’ve got some glowing reviews on iTunes! Notable episodes: The recent episode 042 on creating customer-centric mindsets, and 041 where James and Phoebe answer the question of what they would do if they had to start over from scratch. 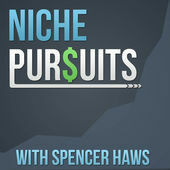 Just like the blog, the Niche Pursuits podcast focuses on giving actionable advice on building online businesses, using paid and organic traffic and outsourcing. They’ve got some very good episodes on SEO and link building, on unique strategies online entrepreneurs are using to make money online, and a whole lot of episodes on building niche websites that can bring in passive income. This is another favourite of mine! Notable episodes: I love anything on link building, and found the recent NP 113 with Hayden Miyamoto to be valuable. NP 78 with Jon Haws is another case study style episode worth listening to. 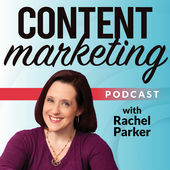 Hosted by Rachel Parker of Resonance Content Marketing, the Content marketing podcast is all about the best content marketing practices, methods, habits and methods followed by successful content marketers. Rachel also interviews content marketing gurus on some weeks and grills them on the strategies they use. She also has a News feed segment in every episode where she talks about the latest news in the content marketing world, and their implications on us marketers. Notable episodes: Episode 173 with Ron Ploof on storytelling, and episode 151 with Frank Danna on video marketing. 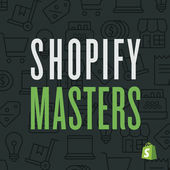 Shopify masters is the official podcast on ecommerce marketing from Shopify. For entrepreneurs looking to setup ecommerce stores or Amazon FBA businesses, this podcast is invaluable. 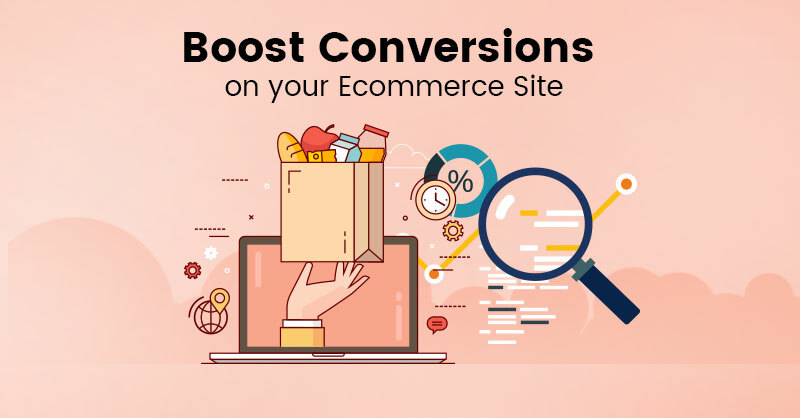 The best part is that almost all episodes are case study style – guests reveal the strategies and methods they’ve used or are using to drive traffic and leads to their ecommerce businesses. Notable episodes: YOU 158 with Chris Marr on live events (if you’ve ever wondered why all the big content marketing brands out there conduct regular marketing conferences), and YOU 135 where Chris shares the importance of pre-launches and using Periscope in launches. 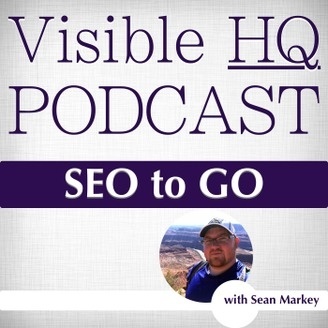 The Visible HQ podcast is yet another great podcast that focuses exclusively on SEO and link building. Sean Markey goes in pretty deep on how to build links and outrank authority websites and even has a number of episodes on shady SEO tactics that can catapult rankings. He has also interviewed some big ballers like Glen Allsop of Viperchill and Brian Dean of Backlinko on his show, and offers a lot of advice on Google algorithmic updates, legitimate link building methods, and SEO strategy. Notable episodes: Knowing what you’re competitors are up to is vital to outrank them, and in that respect, I highly recommend listening to the episodes on PBNs, especially the episode with Charles Floate. 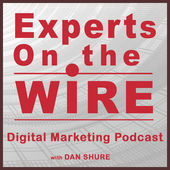 Another insightful episode is the case study on how infographics can be used to outrank EDUs. 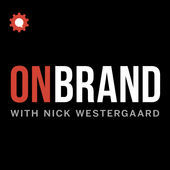 Nick Westergaard of Brand Driven Digital interviews branding experts and marketers every week on On Brand. He also releases a ‘Social Sound bite’ episode most weeks that covers the latest news in social and digital marketing. Nick has some great episodes in his arsenal that detail the branding strategies used by big brands, and has aired interview episodes with branding thought leaders like Melanie Deziel and Jay Baer. Notable episodes: The episode with Suzy Bátiz on using humor to humanize brand image, and the recent episode with Carlos Gil on humanizing brands using Snapchat. 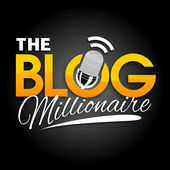 Brandon Gaille’s Blog Millionaire literally goes into everything involved in blogging- content and social marketing, conversion rate optimization, SEO, email marketing and even keyword research. Although it’s a relatively new podcast, it has some great actionable advice on content marketing strategies like the guestographic technique, content repurposing and LinkedIn marketing. It’s a personal Favourite of mine, and Brandon makes it a point to get into the actual details of everything he talks about- one of the reasons why his podcast has gathered such a large audience in 7 short months. Notable episodes: I love almost all the episodes, but here are a few where he over delivers: The episode on gaining 300k Instagram Followers in 5 Month, and if you’re new to the guestographic strategy, I highly recommend the episode on the Guestographic Backlink Acquisition Formula. 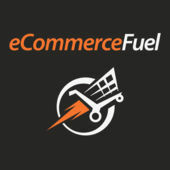 The eCommerce Fuel podcast is hosted by eCommerce gurus Andrew Youderian and Laura Serino. They go into the nitty gritty of setting up eCommerce businesses, marketing them online, branding them, and manage communities. Andrew has also interviewed some of the most iconic eCommerce entrepreneurs out there like Andy Dunn and Michael Dubin on his show. 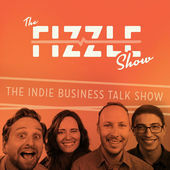 Notable episodes: The episode with Michael Dubin of the iconic Dollar Shave Club. I also loved the episode with Andy Dunn- the brain behind Bonobos. 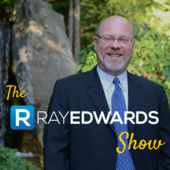 The Ray Edwards Show is hosted by copywriting expert Ray Edwards and goes into almost everything involved in setting up online businesses. He has published several episodes on launching and growing online businesses, working productively, and on writing effective copy that converts. Notable episodes: Episode #225 on the perfect day formula, and episode 222 where they analyse and break down their past 6 figure launch. Who wouldn’t like podcasts by witty and fun hosts? David G. Johnson, Rod Thomson, & Josh Muccio have witty conversational style discussions about the latest news in the digital marketing world and interview some of the best content marketers, entrepreneurs and marketing experts like Danny Sullivan, Joe Chernov, and Jay Baer. Notable episodes: Episode #67 on influencer marketing, and episode #22 with Joe Chernov on content marketing tactics used by HubSpot. The Empire Flipping podcast delves into the lesser known business of website flipping. Justin Cooke and Joe Magnotti give zero fluff advice on building niche websites, selling and acquiring web businesses, and even on Amazon affiliate and FBA business. The bottom line is that they have a lot of episodes with exceptional how-to advice on building successful revenue generating online businesses, and the failures they faced along the way. Notable episodes: EFP 143 with Liam Martin on bootstrapping TimeDoctor into an 8 figure company, and Episode 155 with Greg Mercer. 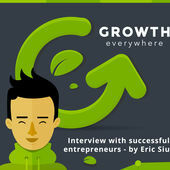 Eric Siu’s Growth Everywhere is one of the most inspiring podcasts for entrepreneurs in my opinion. There are several rags-to-riches stories in his episodes, and he drills them on the actual methods and strategies that they used to market their products. He also has some very good episodes where successful entrepreneurs share how they used content marketing for rapid growth. 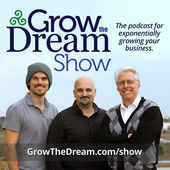 Notable episodes: GE Ep 81  with author David Allen, and GE Ep 143  with David Nevogt on growing Hubstaff. 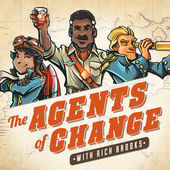 The Agents of Change podcast is hosted by Rich Brooks. Almost all episodes are interviews with marketing experts where they talk about driving traffic from social networks like LinkedIn, Instagram, Pinterest and Facebook. The podcast also delves into some very unconventional topics like boosting engagement through text messaging. All episodes have ready-to-apply advice from well known content marketers and paid traffic experts like Amy Porterfield. 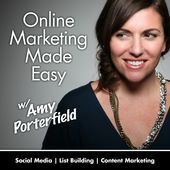 Notable episodes: The episode with Amy Porterfield (she lays down in layman’s terms how to build email lists using facebook ads), and the one with Stephan Hovnanian on ways to segment your email lists. 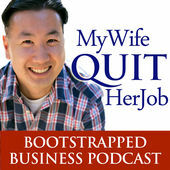 Unlike most other eCommerce focused podcasts, Steve Chou delivers the full package in his My Wife Quit Her Job podcast. Apart from going neck deep into the how-to’s of setting up million dollar eCommerce and Amazon selling businesses, he has published some really good episodes on effective outsourcing, blogging and search engine optimization, podcasting, and email marketing automation tactics. His podcast also offers some unique advice on rapidly building an audience on sites like SoundCloud and YouTube. Notable episodes: Episode 120 with Jeff Cohen where he shares some great insights on ranking on Amazon ( highly recommended), and episode 112 with Kyle Taylor on blogging in competitive niches like personal finance. 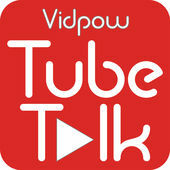 If you’re looking to build a full time income online on YouTube, Jeremey Vest’s TubeTalk is your go-to resource. From creative strategy and video search engine optimization to crowd and fan funding options, and even nitty gritties like in video linking and call to action overlays, the podcast goes over almost everything you need to know about starting a solid video marketing campaign on your own. Notable episodes: Episode 52 on using YouTube’s in-video programming for video promotion, and Episode 75 with guest Travis Chambers on using paid advertising to gain earned media. 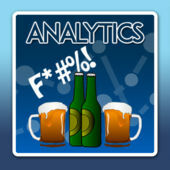 Looking for a podcast that focuses exclusively on digital analytics? With interviews and personal anecdotes from the hosts, the Digital Analytics Power Hour dives neck deep into analytics and data, and is a great resource for anyone who understands the power of data in taking informed marketing decisions. The podcasts goes into topics such as data science, A/B testing and big data. Michael Helbling and Tim Wilson also offer tips for those looking to pursue a career in digital analytics. Notable episodes: Episode #035 on the future of web analytics and data science, and episode #025 with Kelly Wortham from Ernst and Young on A/B testing. 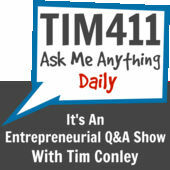 Tim Conley’s TIM411 is an entrepreneurship exclusive podcast- he follows an ask me anything format where he answers audience questions in direct and short bite sized episodes. The podcast has a little bit of everything- management strategies, hiring best practices and even book recommendations and productivity tips. 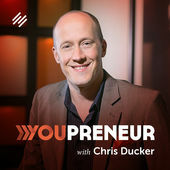 Notable episodes: The episode on defeating entrepreneurial procrastination, and the episode on running a successful mastermind. This isn’t just another business podcasts where you’ll see marketers yapping about their successes. Brad Costanzo is a skillful brainpicker, and he grills successful marketers and experts from various domains – media buying, television, and even crowdfunding and rapid growth. Notable episodes: The episode with Sarah Shaw on leveraging celebrity reviews for powerful publicity, and the one with Adrienne Richardson on generating leads through Facebook ads. Although he doesn’t publish any new episodes, if you’ve ever been on the ViperChill blog, you know the content on Glenn’s podcast is gold. 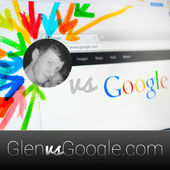 There are 14 episodes in the Glen vs Google podcast library, and it includes some great case studies on affiliate marketing, SEO and advertising campaigns. I also highly recommend his blog if you aren’t a regular reader already. Update: Glenn gave me a hint that he’ll be relaunching the podcast soon, so stay tuned! Notable episodes: The episode on lessons learnt from 30 SEO consultations, and the episode where he talks about the lessons he learnt from building a 7-figure SEO business. Omar Zenhom has over 14 years of business building experience and the very mission of the $100 MBA is to revolutionize business education. 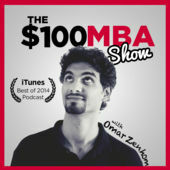 With over 700 short 10-15 minute weekday episodes and short 10 minute Q&A episodes, the $100 MBA podcast is consistently rated as one of the best podcasts in iTunes. It was an iTunes Best of 2014 podcast, and was also the #1 Work Smarter Podcast in 2015. 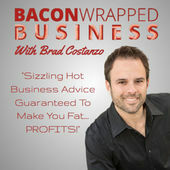 All episodes are on topics related to marketing, general business, hiring practices, and selling. Notable episodes: I love all his episodes on productivity-boosting and time saving, especially MBA 263 on knowing what to spend time on. Also loved MBA 213 on the three tasks you should do everyday (this one is an all-time favourite episode of mine). Dan Andrews and Ian Schoen are some of the most inspirational podcasters you’ll ever come across. 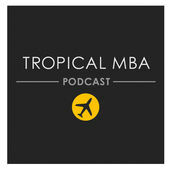 I’ve always felt that it isn’t the valuable insights they share on the Tropical MBA podcast that makes it one of my favorites. It’s their informal and joyful tone while conversing with each other and with guests while going through the failures and success they’ve faced in their businesses. They have some great episodes on topics like location independence and team building, and outsourcing and manufacturing in developing countries. Notable episodes: TMBA319 on the Mind Game of Making Over $100,000 with Michael Erickson (Michael’s advice isn’t just about entrepreneurship, it’s also about getting out of our comfort zone), and TMBA298- a case study episode with Sophia Bera on her 10 True Clients business model. 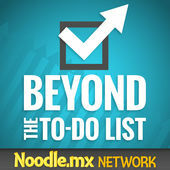 Through interviews and solo episodes on his own experiments on health and productivity, Erik Fisher’s Beyond the To Do List is arguably one of the best podcasts on productivity hacking in all of iTunes. I feel compelled to tune in every week and find out the little tweaks that successful time managers use in their lives, and the ways in which they implement different productivity hacks that we all already know. 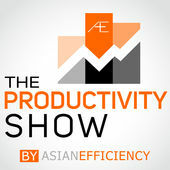 It’s not just advice- the show sets a foundation and shows you how to setup your own productivity systems by showing you how other have. Notable episodes: BTTDL097 with Charles Duhigg on how habits are formed and changed, and BTTDL069 with Allison Vesterfelt on procrastination, and how building bridges differ from taking leaps. Apart from sharing very actionable content marketing advice on their blog, Dave Schneider and Mark Samms also host a brilliant podcast where they interview startup founders and online entrepreneurs, and discuss about topics like advertising, blogging, and startups in detailed 30-50 minute long episodes. I love it when Mark goes the extra mile and grills the interviewees on what caused their paradigm shift and set them on the path of entrepreneurship. Notable episodes: Ep#4 with Joel Comm on getting media outlets to talk about you, and Ep#24 with Ann Smarty on building a brand online. 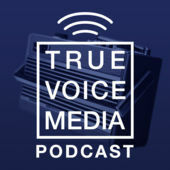 Jeff Gibbard’s True Voice Media Podcast is all about social media and the impact of technology on lives and businesses. He has interviewed a long line of experts from Mark Schaefer to Dan Norris on trends and news in the social media world, and discusses topics such as social selling, content marketing, relationship building and CRO- all with a touch of his good humour and wit. Notable episodes: EP45 with Saba Sedighi on Snapchat strategies, and EP50 with Tony Wilkins on building your network rather than networking. Yet another great podcast from the Cranberry.fm podcast network. The show isn’t just about landing pages like most think. 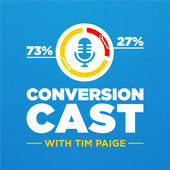 Tim Ash does a great job of getting into the nitty-gritty of conversion optimizing your website. He has discussions with guests on topics like customer targeting and analytics, and also delves deep into advanced CRO techniques like psychological architecture, content mapping, segmentation and smart targeting. A must listen if you’re a conversion junkie. Notable episodes: The episode with Arnie Kuenn on mapping content to buying stages, and the episode with Janet Driscoll Miller on segmentation and smart targeting. 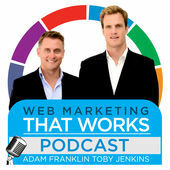 Adam Franklin and Toby Jenkins interviews well-known entrepreneurs, branding experts, content marketers, and public speaking experts on the Web Marketing That Works show. With experts from variety of domain areas, and episodes 30 minutes long on average, the podcast is a treasure trove of marketing advice for those looking to start an online business. They have a whole lot of episodes on blogging, producing great content, and email marketing. Notable episodes: WMTW 107 with Kevin Kruse on his book- Time Management and Productivity Hacks of Billionaires and Olympians (Toby happens to be one of the Olympians who was interviewed for the book), and WMTW 074 with Toby Carlisle on the marketing strategy for investment funds, and establishing authority through blogging and influencer outreach. 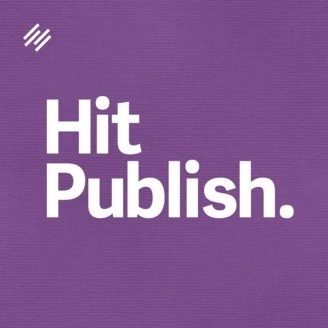 From when I stumbled upon the podcast a few months back, I’ve felt that Hit Publish is literally the go-to place for quick and actionable copywriting advice. Hosted by Amy Harrison, the Hit Publish is irrefutably one of the best podcasts on all of the Rainmaker.fm network. I love the podcast so much that I’ve bookmarked a number of episodes. Rather than just going into writing great content Amy also shares a lot of highly actionable advice on content marketing techniques, and on writing sales and landing page copy that connects and converts. Sadly, she hasn’t published any new episodes since March – something I’m eagerly waiting for. Update: I reached out to Amy, and she hinted that she’ll be relaunching the podcast very soon! Notable episodes: I love all 54 episodes, but the episodes on contrast copywriting, and the one on writing launch copy for product launches are gold. The Write With Impact podcast is aimed at providing writing advice to those who want to take their writing skills to the next level. 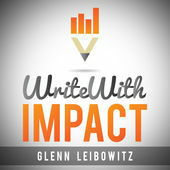 The podcast is hosted by digital entrepreneur and avid writer, Glenn Leibowitz and he has released a number of interview episodes with varying experts on topics such as book writing, storytelling, and blogging. Another great choice for copywriters and content marketers! Notable episodes: The episode with Sonia Simone on building a blog that stands out, and the episode with Dustin McKissen on how he built his business through LinkedIn. 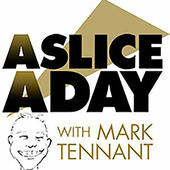 Mark Tennant’s A Slice a Day is all about content marketing. He brings you the best articles and blog posts from great content creators. Apart from these, he brings on guests frequently to talk about social media and selling, and almost everything that can be connected to content marketing. With about 200 episodes till date, the podcast has a number of episodes each on content ideation, creation, and promotion. He also brings on experts to talk about how agencies can scale and manage each of these. Notable episodes: Episode #180 with Ryan Stewart on why he stopped selling SEO services (food for thought), and episode #118 with Mark Walker on scaling small content teams (I highly recommend this episode). 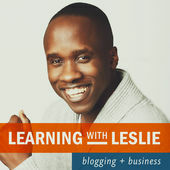 What I love most about Learning With Leslie is the passion and sincerity- it shines from his voice. Leslie started out in internet marketing with a biology blog, and the blog helped him land his dream job as a university professor. Now Leslie Samuel is a man on a mission – changing the world one blog at a time. And he doesn’t disappoint! His episodes and interviews are all on blogging and everything related to it- social media marketing, email marketing, SEO, branding, and he even has some great advice on video marketing. 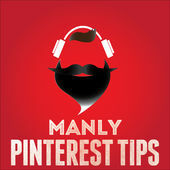 Almost all episodes are how-to style and are highly actionable. Notable episodes: The recent episode 268 with Arne Gahmig on getting to a thousand dollar month, and the one with Paula Pant on creating great content with personality, story, and outbursts. 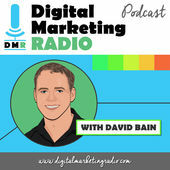 The most distinctive feature of the Digital Marketing Radio is the format that host David Bain follows. All episodes are interviews, and consist of several rounds. After an initial chat with the interviewees on their business and what they do, David has rounds like “Software I couldn’t live without”, “best advice I’ve ever received”, “The $100,00 question”, “My number 1 takeaway”, and “This or That”. He discusses about a whole lot of topics – SEO, PPC, conversion optimization, email marketing, and even podcasting. The show packs a ton of value if you’re knee deep in a buch of digital marketing stuff like me. Notable episodes: DMR #148 with Rand Fishkin on SEO in 2020, and the special episode with Yaro Starak on blogging in 2016. 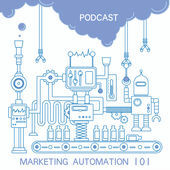 The Marketing Automation 101 podcast is a relatively new podcast that delves into the processes that you can setup to automate your marketing efforts. The podcast also packs a lot of valuable advice on visual content marketing. Most of the episodes are small 5 minute bite sized episodes that make it perfect for quick tune-ins. Notable episodes: The episode on building buyer personas, and the thought provoking episode on demand generation with Carlos Hidalgo. 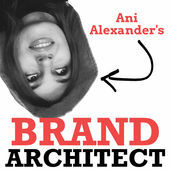 Ani Alexander’s Brand Architect is one of those rare podcasts that you’ll come across that focuses on helping authors market their books and build up a successful writing career. Ani goes through the whole process – from finding writing ideas to building writing skills and marketing the book both online and offline. She also brings on bestselling authors frequently and they talk about how they overcame struggles, published and marketed their books. Notable episodes: The episode with Ray Edwards on writing copy that sells, and the one with Jill Sanders on his journey to be a New York Times bestseller. 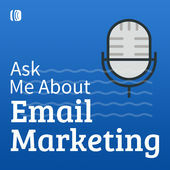 Ask Me About Email Marketing is Aweber’s official podcast where host Tom Tate interviews experts on their email marketing methods and strategies. The podcast has some really good episodes on topics like mastering videos in email, lead magnets, effective email copy, and audience engagement. Listeners can also send in questions. Tom will select one of them, and get the expert to share their answer in the interview. Notable episodes: Episode 34 with Margot Mazur on using videos in emails, and I really liked the episode with Ben Settle on email copywriting tactics. 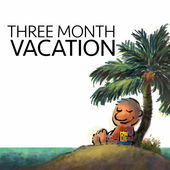 Sean D’Souza’s Three Month Vacation podcast is gold for hustlers. Apart from offering some very unique advice on attracting, managing and building relationships with clients, and on how to design sales funnels to convert better, he also has episodes on productivity hacks, blogging and some great case studies of his own. Notable episodes: I highly recommend episode #102 on using the Pebble system in sales copywriting, and episode #95 on how gentle productivity gets astounding results. 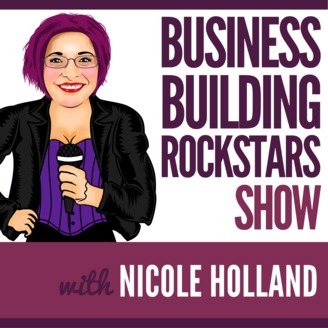 Hosted by Nicole Holland, the Business Building Rockstars Show follows an interview format. Nicole interviews successful entrepreneurs and experts from a wide variety of industries – and they lay down exactly how it is to build a business. The guests are frank about their failures and successes, and I’ve often felt that the show is really inspiring for those looking to set up businesses. Nicole has a very lovable personality- she truly is a rockstar! Notable episodes: Episode 46 with Tim Paige on validating business ideas before launching, and episode 39 with Wes Pinkston on what it really takes to succeed in social media. 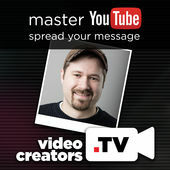 Video Creators is the brainchild of audience building expert Tim Schmoyer. He shares tips and strategies on the show, and always goes the extra mile to deliver value to his audience. Most videos are very detailed with actionable takeaways, and in newbie terms. Although Tim has published only 13 episodes till date, you know that when there is a new episode, it simply can’t be missed. Notable episodes: VC 007 with tips from 12 YouTubers, and VC 012 where Gielen talks about reverse engineering the YouTube algorithm. 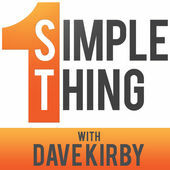 Just like the name, the 1 Simple Thing podcast aims to give you one simple thing to do and learn everyday. Through episodes and interviews with regular guests, motivation coaches and business experts, the podcast is a blend of business advice, productivity hacking tips and good ole motivation. Notable episodes: Episode 371 with John Hargrave on developing Jedi focus, and episode 179 on developing a winning mindset with Mike Robbins. 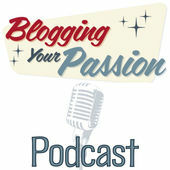 Hosted by Jonathan Milligan, the Blogging Your Passion podcast is another great podcast with a track record of delivering actionable content planning and promotion strategies that you can use right away. He also talks about leveraging your time and efforts as a blogger and shares copywriting tips to make your writing more engaging and compelling. And the most attractive part- he brings on successful bloggers and marketers and grills them on how they setup their business. Notable episodes: The episode “6 Lessons I Learned from My Most Successful Product Launch to Date“ where Jonathan shares his takeaways from the launch of his Blogging Your Passion University, and the recent episode on 4 proven ways to start a blog post. Almost all episodes are interviews with six and seven figure eCommerce sellers who share their stories on how they setup their Amazon, Ebay or standalone ecommerce businesses and how they grew them. Apart from sharing actionable advice, eCommerce gurus like Brandon Dupsky share their perspectives on burning questions like the importance of having your own eCommerce platform, and the lack of control sellers have over Amazon and Ebay. They also talk about how they source products and manage all the outsourcing. Notable episodes: Episode 041 with Brandon Dupsky where he talks about the importance of creating your own eCommerce marketplace, and about how he did it. I also learnt a lot from Episode 109 with John Lawson. 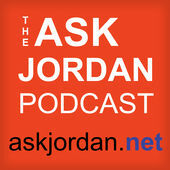 Hosted by ecommerce expert and bestselling author Jordan Malik, the Ask Jordan podcast follows the Q& format where Jordan answers a listener’s question on every episode. Jordan is an incredibly outgoing host, and answers almost all emails from his audience. 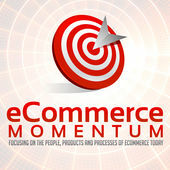 The episodes are in short five to fifteen (or twenty at the most) episodes, and since listeners ask questions about real life problems that they all face, the podcast is a great resource that you can refer to if you’re running an eCommerce business. Notable episodes: Episode 87 on increasing traffic to Amazon listings, and episode 100 on how to find out what’s hot on Amazon. 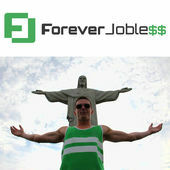 Billy Murphy’s Forever Jobless podcast is an exploration of the thoughts and thought processes of online entrepreneurs. He talks to entrepreneurs about their thought processes, and the methods they use to set goals, and chat about how they achieved successes in their own ventures. I love all his ‘daily routine’ episodes where guests chat about a typical day in their life and the methods they use to stay focused and active. Notable episodes: S2E4 with Ryan Holiday on how he built a 7 figure business with a book. Also, I loved the ‘daily routine’ episode (186) with Hal Elrod. From a marketer’s point-of-view, it’s very important to stay focused with all the nitty gritties involved in hustling. Thanh and Zachary (from the famous Asian Efficiency blog) chat on topics like getting unstuck, and focusing on the end goals by developing rituals and habits. They also interview guests (people who get a lot of work done) and detail the techniques and exact tools and apps they use to focus and get stuff done. Notable episodes: TPS26 on habits and visualization with Mike Schmitz, and TPS71 with John Lee Dumas where he shares his tips on goal setting. 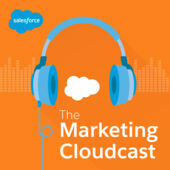 The Marketing Cloudcast is hosted by Joel Book and Heike Young from Salesforce, and they interview the brains behind the content and social media marketing wings of big brands. The podcast has some great episodes on topics like influencer marketing, social media strategies, and techniques used by large companies, and on using data to drive marketing decisions. 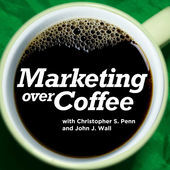 Notable episodes: The episode with Joe Waters on cause marketing, and the one with Jonathan Kranz on marketing boring or complex products. The Building a Story Brand podcast is all about the art of branding and selling. 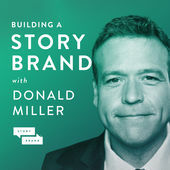 The podcast is rather new – host Donald Miller has only published 12 episodes so far, but they’re all gold. His guests talk about topics ranging from writing great sales copy to attracting more customers and selling more effectively. Notable episodes: The interview episode with Jonathan Davis on creating killer calls-to-action, and the interview with Ray Edwards on how to write good sales copy. 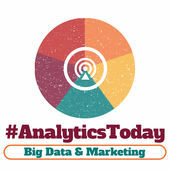 Analytics and big data influencers Jeremy Roberts and Sameer Khan talk about the importance and ‘how-to’ of using data in marketing and digital marketing campaigns in an actionable format to listeners. 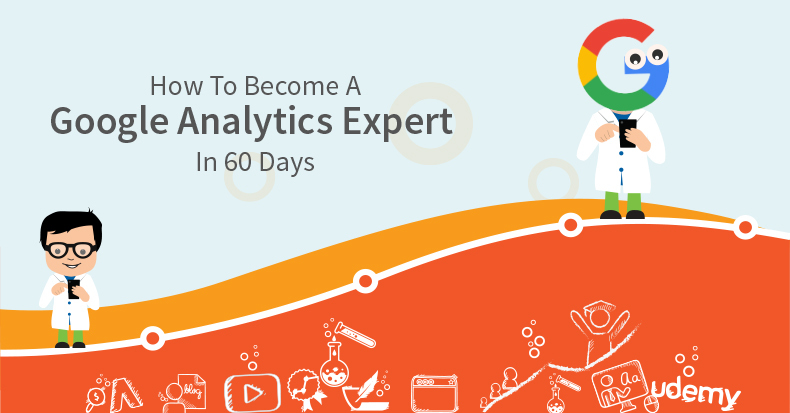 Although they haven’t published a lot many episodes, for a complete beginner like me, the Analytics Today podcast packs a lot of value and insights. Ideal for big data newbies! Notable episodes: Episode 14 on actionable lessons from the 2016 State of Marketing Research and Episode 12 on how digital marketers can use big data and succeed. Unbounce’s Call to Action podcast is truly an all-in-one mashup of digital marketing topics. They talk about topics ranging from conversion rate optimization, A/B testing, content marketing, and copywriting. Stephanie, the host, regularly interviews experts from time to time, and also shares tips and insider strategies they use at Unbounce. Notable episodes: The episode with Steven Moody on lead nurturing and email marketing, and the episode with HubSpot’s Ginny Soskey. Jim Hedgar and Dave Davies cover the the trends and raging discussions in the internet marketing world in hour long weekly episodes on all Thursdays. After talking about hot news and trends, they interview an expert. Interviews are on topics like paid and local search, and remarketing. Guests also share their takes on the topic of the episode. 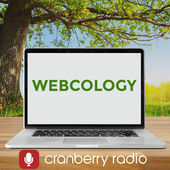 Apart from these, Webcology also has a number of episodes where Jim and Dave discuss about google algorithm updates and the impact they have on the industry. Notable episodes: The episode with Larry Kim on demographic data, and the one with Bill Slawski on patents. First of all- this one is not for complete beginners, and you need to be somewhat familiar with big data and how businesses use it. 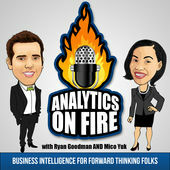 The hosts Mico Yuk and Ryan Goodman are both known influencers, and they interview big data experts and analysts on how they use big data in their respective companies and on how to hone the skills required for data analysts. They’ve released only 15 episodes so far, but if you’re data nerdy like me (I’m just starting out though), you’ll find this podcast very interesting. Notable episodes: The case study style episode #7 with Naveen Narra on how their big data investment paid off, and the recent episode with Shawn Rogers on data-driven culture and communities. 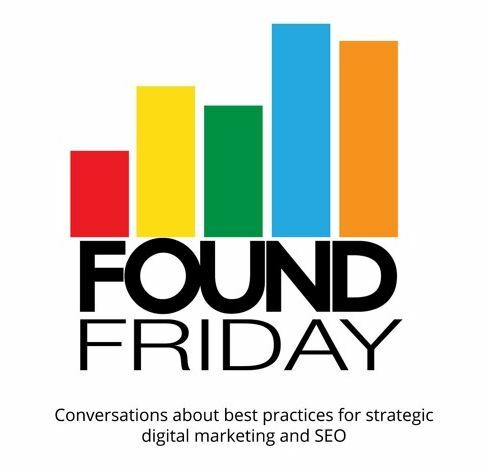 Found Friday is a weekly Google hangout by hosts Erin Robbins O’Brien, Karen Scates and Laura Worthington from Ginzametrics where they discuss search engine optimization, search trends, and a lot of content marketing. Erin and Karen bring out some really great advice on the convergence of keyword research, content promotion, audience segmentation and search optimization. They also have full transcripts of all the episodes if you prefer reading. Notable episodes: Episode 79 on how to use search and social data to create effective audience personas, and episode 80 on creating better personas for content marketing efforts. 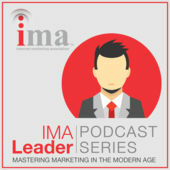 The IMA Leader podcast is the Internet Marketing Association’s official podcast series. Dominic Sirianni interviews marketing heads of top brands like Microsoft, Adobe, Salesforce, etc., and does a great job providing tangible and actionable insights for large and small business owners alike. They’ve got some great interview episodes with thought leaders like Jeff Sanders and Frank Luntz. Notable episodes: Episode 79 with Jeff Sanders of Life Fitness on how they manage an international presence and their marketing strategy, and the 36th episode with David May on best practices while updating websites (I highly recommend this if you’re gearing up for a redesign). 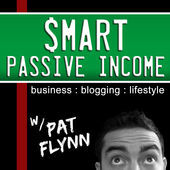 Ask Pat is yet another podcast hosted by renowned podcaster Pat Flynn (See Pat’s #17 Smart Passive Income). Pat answers one question from his audience five days a week from Monday to Friday. He shares his personal experiences, what he does, and also drops in a number of tips on productivity and staying focused. Notable episodes: Hard to choose, but I liked his answers in AP 587 and AP 565. 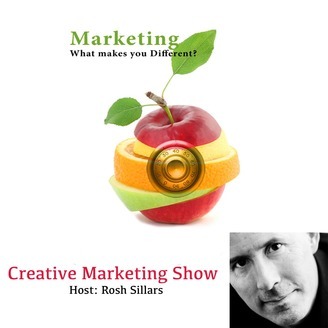 Geared towards photographers and creative artists, Rosh Sillars’ Photography Business and Marketing podcast offers advice on how to build your creative business with online marketing and social media. He discusses Google and social media updates, and on how you can build businesses using content marketing, email marketing, and social media. He also has some really good episodes on how you can SEO your creative business website. He also interviews photographers and creative professionals regularly on the show. Notable episodes: Show 351 and 351b on the lessons learned from Ross’s viral blog post on photography pricing. There you go. I’ve listed every single free podcast that I like and love. A HUGE thanks to everyone who contributed to this behemoth post. Please share if you think it’s worth sharing! Did I miss any of your favorite marketing podcasts? Are there any particular episodes that you loved? What an amazing job you’ve done! I’m an avid podcast lover and consumer and this is definitely much much more than a comprehensive list of podcasts for entrepreneur. And I love your selection of episodes! Thank you for the time and effort devoted to the preparation of this post! Hey Adithya, what a fab list and thank you so much for including Digital Marketing Radio. I’m humbled! You’re welcome David. DMR deserves to be in there! Great share. I didn’t listen to them yet. but I will as soon as possible.. Thanks a lot boss! Amazing post. Thanks for the shout! Can’t wait to dig into some of these other shows. You’re more than welcome Tom. Dig in! 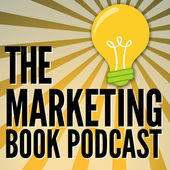 Adithya, thanks for including The Marketing Book Podcast (and thanks for being such a loyal listener)! You’re more than welcome Douglas! This list is totally EPIC!!! Appreciate it Loz 🙂 It deserves to be there! Nice job Adithya – quite the round up! Appreciate you including Zero to Scale and glad you find it of use. Cheers! Amazing list! That must have been a beast to put together 🙂 Thanks for including “Rise of the Entrepreneur”. You’re welcome and trust me- it was a beast indeed! Thanks for dropping by and leaving a comment! Thanks Adithya for this list. A few I didn’t know and will have to check out. I would like to add two more, perhaps still less known than these “heavyweights”. The first is from Neil Patel, his Marketing School is great because the podcasts are just ten minutes on average, so easy for everyone to listen to. AND they come out daily, which is still quite rare. Since we all have too much to read and listen to, these short, sharp reminders of best-practices are great. And of course, I’d also like to mention my own Winning Customer Centricity podcast of my blog posts, which I started a month or so ago. A little longer than Neil’s at 15 minutes and weekly, but again I believe more appropriate to our information-overloaded lifestyle. You’re welcome, and I’m glad you liked it Denyse. I’ve just begun listening to Neil’s podcast (it’s a relatively new podcast). I’ll make sure to tune into yours and listen to some of the episodes. You’re more than welcome Michael. Thanks for stopping by and leaving a comment!